Big ups for host Nikita. He was really kindly and flexible with timetables and patienced to follow us to the correct place despite of a few misunderstoods. For heading to the Vita its much easier to find by typing 'apartment vita' to google maps than by the address. All room fittings was adequated. Level of clean was superb. Definitely the worth of money! The host was very nice, the apartment is lovely and everything went quite smoothly. I would definitely book this place again if I happen to be passing by Osijek. The host was very nice, he prepared everything for our arrival. 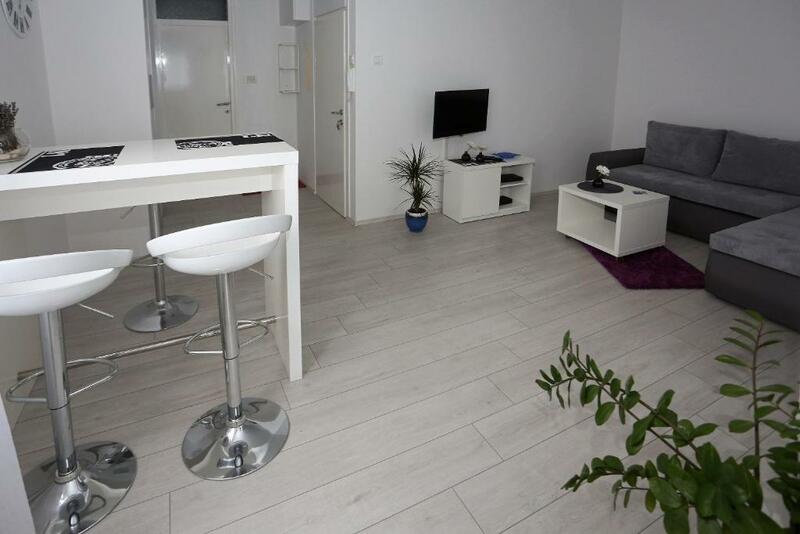 The apartment is very cosy and there's everything you may need during your stay including some basic products in the kitched like butter, fruit jams, etc. We stayed there one night only. The apartment is on the 2nd floor. Zelo dobra kombinacija med ceno in kvaliteto,...dobra lokacija,...lepo obnovljeno stanovanje,...zelo prijetno,...super wi-fi,...vse kar človek potrebuje. Priporočam,. Čisto, uredno, vlasnik na usluzi, nemam zamjerke. 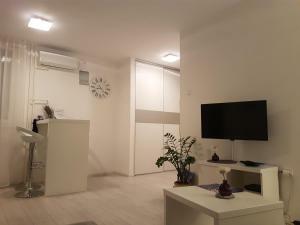 Vrlo ugodan, lijepo uređen i čist apartman. Hvala domaćinu na ljubaznom gostoprimstvu. Set za doručak-marmelada,smeđi šećer nutela,kava.Lijepi ambijent,lijepo uređenje.Mir! Apartman je prostran, sa novim namještajem i vrlo udobnim krevetom. Nalazi se vrlo blizu centra. Lock in a great price for Apartment Vita – rated 9.7 by recent guests! Apartment Vita This rating is a reflection of how the property compares to the industry standard when it comes to price, facilities and services available. It's based on a self-evaluation by the property. Use this rating to help choose your stay! 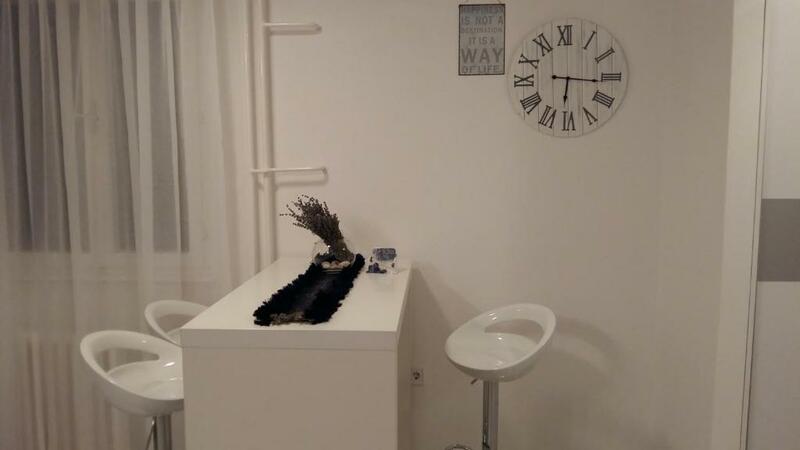 Located a 19-minute walk from Gradski Vrt Stadium in Osijek, Apartment Vita offers accommodations with a kitchen. This apartment has free shuttle service and free WiFi. 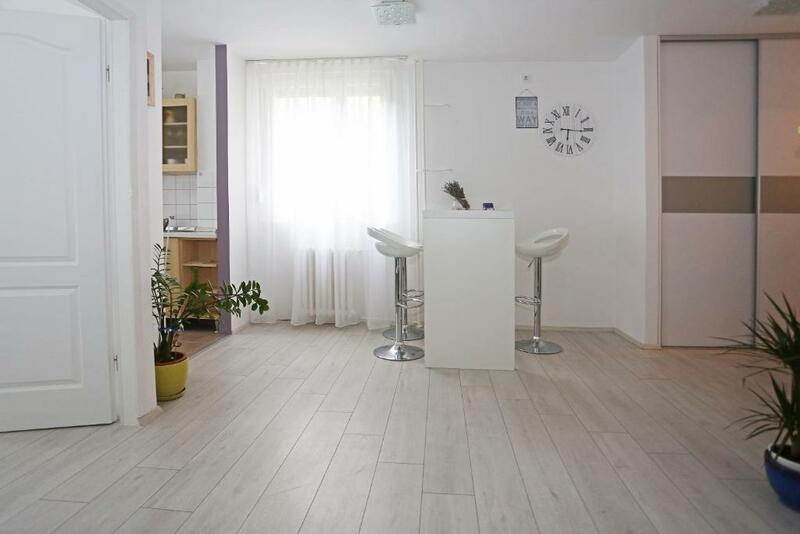 This 1-bedroom apartment will provide you with a cable flat-screen TV, air conditioning and a living room. The apartment also provides a seating area and a bathroom with a shower. Museum of Slavonia is 1.2 miles from the apartment, while Osijek Citadel is 1.2 miles away. 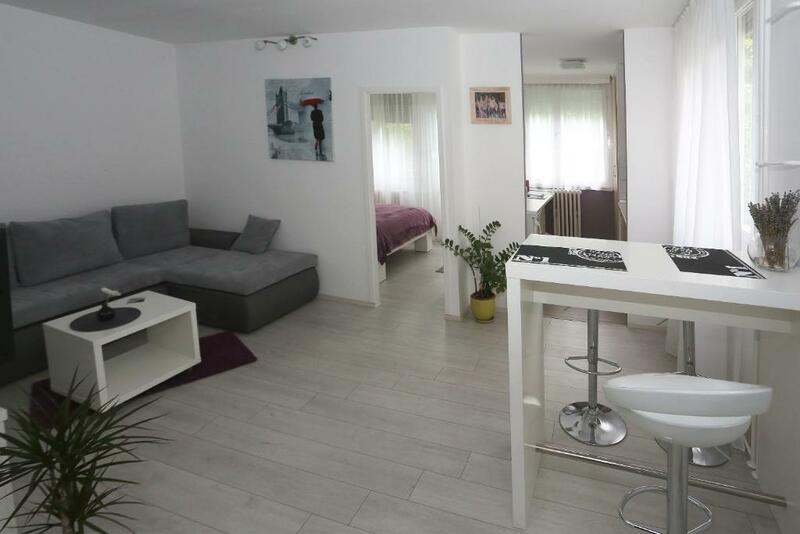 The nearest airport is Osijek Airport, 10 miles from Apartment Vita. When would you like to stay at Apartment Vita? 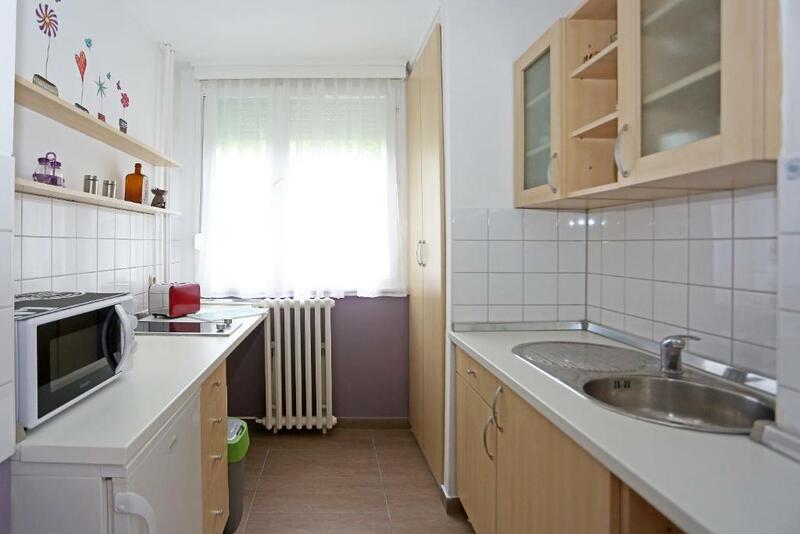 This apartment features air conditioning, microwave and kitchenware. This 40 m2 newly renovated apartment is great for tourists or business people. With free parking slot, wi-fi, and modern design it offers a place for relaxation or work, whichever suits you. Situated 15 min walk from center, isolated from city noise. Apartment is newly furnished, modern design. It is on the south side, and has a lot of daily light. Apartment is surrounded with trees, which give noise reduction. It has all amenities for short or long term stay. Parking is free of charge, and the public transportation is very close, but there is no need for it because everything is max. 10 mins on foot. I am a food technology student and a martial arts instructor from Osijek. I'm living in Osijek my whole life so l' ll give you all the info you need - every information about city, restaurants, bars, museums and other places you wish to see. Your comfort and enjoyment is our top priority and we'll give our best to make your stay in Osijek unforgettable. It is a beautiful part in the middle of Osijek, the biggest and the one with most trees and parks. It is 15 min walk from center, and 10 min walk from Osijek old town, Tvrđa, 10 min to city hospital. Airport is 15 km away, and Kopački rit (nature park) is 12 km away. House Rules Apartment Vita takes special requests – add in the next step! Please inform Apartment Vita of your expected arrival time in advance. You can use the Special Requests box when booking, or contact the property directly using the contact details in your confirmation. Drain of shower didn't flushed so well.